Using the meadow as a source of inspiration for writing isn’t something new – fragile and particularly beautiful landscapes have prompted writers for centuries. And this poetry residency in High Borrowdale meadow is not only about me writing in response to the experience. I will be sharing the work of other writers: voices from some of the ‘greats’ such as Robert Frost, John Clare, Wendell Berry, Anne Stevenson, John Muir, and contemporary writers including Kathleen Jones, Harriet Tarlo, Thomas A Clark, Rachael Clyne … and others. But the meadow is also a space for expression and I will be inviting anyone who feels like it to leave their own words. 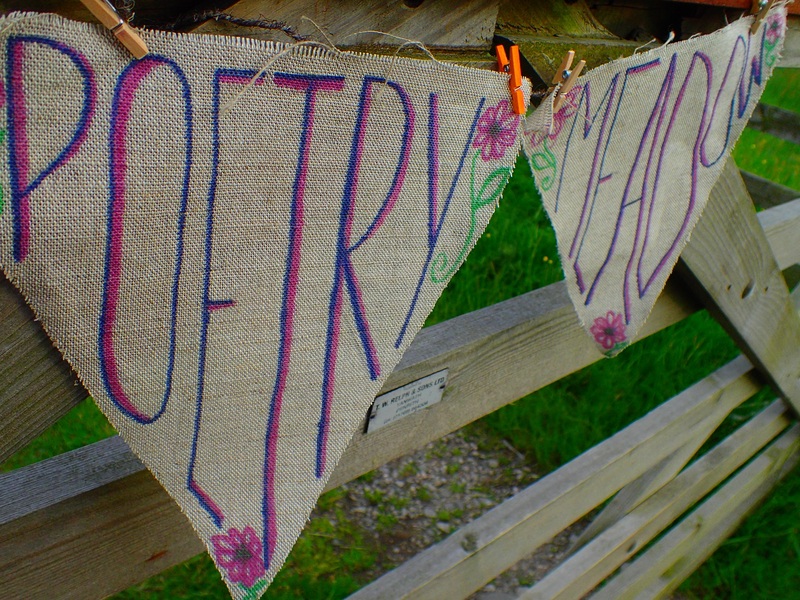 Tomorrow the event with Friends of the Lake District will be the official ‘launch’ of Poetry in the Meadow and I’m looking forward to seeing what happens. Inspiration will come from the people who experience the space together, as well as from the natural environment. I know that several people who are coming will be bringing their own writing to share; others are coming to listen; others simply to discover what the valley has to offer. During July, in addition to this public event, two groups of school children will be visiting, and a few creative friends are going to be dropping in. The meadow is on a public footpath, so I can’t anticipate who I will meet. But I hope that anyone who passes through will pause and take a moment to reflect, and add something to the open air canvas for poetry (hung out last night by me and my daughter Rosa, who has enjoyed adding her mark). 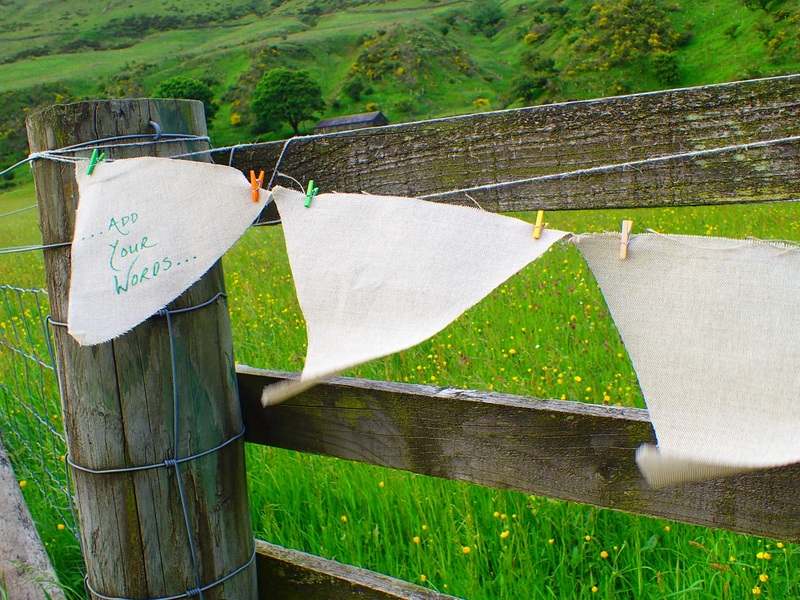 There are pens hanging on the fences, so feel free to come along and add to the emerging poetry of the meadow. You can wander in any time.